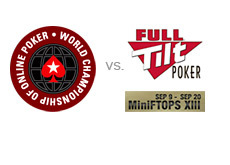 Full Tilt Poker recently released details regarding the 13th installment of their FTOPS (Full Tilt Online Poker Series) and MiniFTOPS events. The company continues to tweak the format of the event, and this installment will be no different. FTOPS XIII will run from August 5th until August 16th, and will feature 25 events. Full Tilt will still have their MiniFTOPS XIII series, but it will run from September 9th until September 20th. 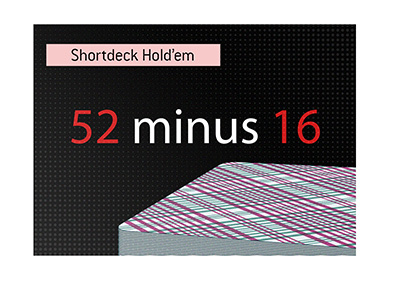 If you remember, many of the large buy-in events at FTOPS XII missed their guarantees. This was largely due to many casual players choosing to play MiniFTOPS events instead. Full Tilt Poker clearly wasn't going to let this happen again, so they have decided to separate the FTOPS and MiniFTOPS events. It's very interesting to note that the MiniFTOPS (Sept 9 to Sept 20) will be taking place at the same time as the 2009 WCOOP on Pokerstars (September 3rd - 20th, according to a tentative schedule leaked by Pokerstars a few weeks ago). The MiniFTOPS will have more than $3 million dollars in guaranteed prize money. The series will have all of the same events as the FTOPS, just with 1/10th of the buy-in. The MiniFTOPS proved to be pretty popular with players the last time that it was run, so it should be interesting to see what kind of an impact (if any) this event has on WCOOP numbers. Based on the tentative 2009 WCOOP schedule that was released by Pokerstars, the MiniFTOPS XIII and WCOOP main events will take place on the same day (September 20th). 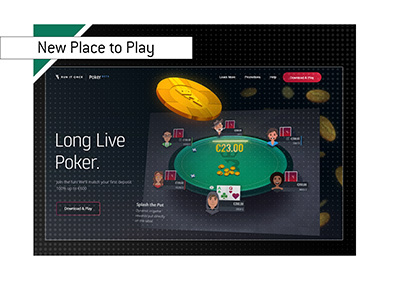 An interesting move by Full Tilt Poker..